Though every woman knows (or should know) that driving in heels is not recommended, they may not know that it could be fatal. Men are also at risk with their footwear choices because not only high heels can cause accidents – flip flop sandals can also be incredibly dangerous. When women wear heels in a car, their reaction time is severely impacted. The heel of their shoes will not always stay planted on the mats of a car like other shoes will and making sudden movements can be rendered impossible. That becomes a major issue when a driver is forced to quickly change pedals from acceleration to braking. Flip flop sandals can come off of feet, which crowds the pedal area and could cause feet to get stuck. They can also wedge themselves behind the pedals, which make it impossible to push down. The only way to remove them quickly is to use hands, but that takes the eyes off of the road. All people want to be comfortable when they drive; or they want to be fashionable. Wearing sandals and heels may be more convenient given your outfit or activity, but it can be very dangerous. Dr. Robert Lee a podiatrist at Ronald Reagan UCLA Medical Center urges men and women to have an extra pair of appropriate shoes in their cars that they can change into when they are wearing the hazardous styles. Though that seems annoying, it could save your life. Though some people may feel that they are completely comfortable and able in their driving with inappropriate heels, the risks are still always there. Issues like this do not cause problems often; but when they do it is unfortunate as it could have so easily been avoided. If you or someone you know has been injured in an accident, whether caused by a problematic shoe or anything else, then contact a Los Angeles car accident lawyer. Our lawyers will assist you with identifying negligence, filing insurance claims; and can ensure that you receive the highest possible compensation for the damages that you have suffered, including punitive damages in the event of serious injury or death. This entry was posted in Uncategorized on June 28, 2013 by Bryan Nguyen. On Wednesday in Gardena, California, a cyclist was badly injured after being hit by a vehicle. The driver is now sought by the police after he left the scene of the crime. The accident occurred around 10:00 a.m. on El Segundo Boulevard. 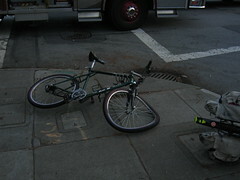 Police responded to calls from witnesses and found the victim of the accident lying in the street. The victim has been identified as Jessie Dotson. The 60 year old victim sustained head injuries and was immediately taken to a hospital. His condition at the time of the accident was extremely critical; however, whether he has improved or not at this point is unknown. Dotson was riding to work when he was hit. The driver has been described by witnesses as a Hispanic man likely in his 40s. He was driving a dark-colored compact vehicle with a number 5 on the license plate (the entire plate was not recorded). The accident caused the vehicle’s windshield to shatter, so the search may be made easier for authorities. Anyone with information regarding the accident or the missing driver should contact the Gardena Police Department at (310) 217-6183. If you or someone you know has been injured in an accident, contact a Gardena bicycle accident attorney who can assist you with identifying negligence, filing insurance claims; and can ensure that you receive the highest possible compensation for the damages that you have suffered, including punitive damages in the event of serious injury or death. This entry was posted in Uncategorized and tagged Accident Attorney, Bicycle Accident, Cycling, Driving, Gardena Police Department, Hit and Run, Los Angeles on June 27, 2013 by Bryan Nguyen. Marc Manfro was heading to the beach on Sunday when he saw something that was shocking and dangerous all at once. His instincts kicked in and he put his own life in serious danger to save a stranger’s. Manfro worked with the New York Police Department prior to this incidence and now lives in Castaic, California. On his journey to the ocean, he spotted a woman standing in the middle of the 10 Freeway. 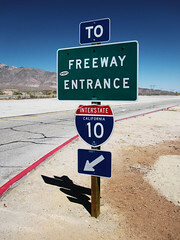 Upon entering the westbound 10 Freeway from the 405, Manfro spotted the middle-aged woman standing alone as cars passed her at high speeds at Bundy Drive. It was around 8:00 a.m., which means likely that there was less traffic, sparing her life to that point. Manfro was sure that he was about to see this woman get killed. He wanted to save her but was unsure whether he would be able to or whether he would be able to in time. A quick decision was made and he went about to rescue the troubled woman. He ignited his hazard lights and came to a stop near where she was standing, half in the right lane and half in the shoulder. He then went about slowing down the other lanes to walk across and grab her. A minivan driven by M’Lissa Fleming was in the lane next to him. He signaled for her to stop and she did. She then watched him attempt to travel across the next lane, inching closer to the victim. Fleming expresses her fear that her children would have seen the woman die, and that was not something that she wanted to experience. Based on the state of her clothing and hygiene, she was likely homeless and wanted to harm herself. Manfro had to restrain her the entire time until California Highway Patrol arrived to take her away to receive medical attention. Everyone is calling Manfro a hero, deservedly. “It takes a certain kind of person to put yourself out there to try to save someone else. He did a good job,” states Officer Karina Munoz. This entry was posted in Uncategorized and tagged California, California Highway Patrol, Interstate 10 in California, Los Angeles, Manfro, Rescue, Santa Monica on June 26, 2013 by Bryan Nguyen. Even if you have never used or heard of them, there are small businesses out there in Los Angeles that are trying to ensure safe driving at a cheaper rate than cab companies. Their names are steadily becoming known and their convenient, user-friendly business plans are hard to ignore; but the city has sent them cease and desist notices after complaints came from taxi operators. Uber, Lyft, and Sidecar are three start-up companies that aim to easily and safely transport passengers, while charging less than what cab companies do. The three companies received official letters from Los Angeles’s Department of Transportation stating that they must stop their activities because they are operating an automobile-for-hire without a permit. Travelers who use the three companies for rides express their convenience and price over anything else. Each one has an application that can be downloaded to smart phones; and riders can hail a car, share their location, and pay the fare all with the app. These letters have shown the business owners and the residents of Los Angeles that the city is backing the taxi companies and attempting to disband the new, innovative start-ups. Using cabs in Los Angeles can be such a hassle for residents, as they continually become lost, pick up the wrong passengers, or do not accept credit cards. 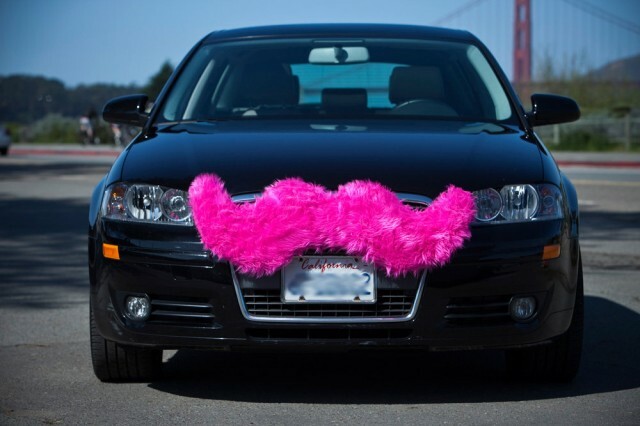 After the fine, Uber made agreements with the CPUC and the violations were no longer valid. The company has previously had two class action lawsuits filed against it from limo and taxi cab drivers; and was recently successful against the limo companies in New York City. Los Angeles claims that the issues regard improper permits. Similar to the previous fines that the companies received last fall, the city is demanding that they stop their work because the cars and drivers do not have the appropriate permits to drive others in exchange for payment. Though these letters have been issued to the companies, it is unknown whether it will actually make a difference for now. They all still strive to make their businesses work, and they have created a fairly large support of loyal customers. This conflict will not be resolved quickly – the companies need to be properly regulated; but the city should be promoting new business ideas rather than cutting them down before they gain any real progress. This entry was posted in Uncategorized and tagged Accident Attorney, California, Los Angeles, Lyft, Safe Driving, Sidecar, Taxicab, Uber on June 25, 2013 by Bryan Nguyen. The completely electric and aesthetically pleasing Tesla Model S is in danger of losing some of its shine as the company issues a voluntary recall on the vehicle. According to the statement made by the manufacturers, there is a defect in the mounting bracket of the left rear seat and it could cause injury to passengers. At this point, there has been no harm or malfunctioning; however, the company is aware that there could be so it is taking precautionary steps. The recall was announced on the Tesla Blog by Elon Musk, and there it is explained that the welding and bonding that holds the rear seat latch on the vehicle’s body has some alignment issues that occurred during manufacturing, which has weakened the bond and poses a safety threat. The company expects the overall expense of the recall to cost it $150,000. Owners of possibly defective Tesla models will be alerted by the company and will be given instructions on what to do with their vehicles. The company is offering to pick up cars from any location, provide loaner Teslas during the inspection and repair, and return the vehicles within a few hours. It is apparent that Tesla is working hard to maintain its loyal customers, despite the model showing flaws. This entry was posted in Uncategorized on June 24, 2013 by Bryan Nguyen. A major accident occurred Thursday morning in Poway, California. There are few details regarding the accident at this point, but police have reported one fatality. The collision took place around 4:00 a.m. A fire truck was heading out to respond to a medical emergency that had been called in the northern San Diego County area. A Honda was also on the road in the early hours. The two then collided in an intersection. As the Honda is significantly smaller than the truck, the driver and passenger were at much more risk for injury than the firefighters. A female passenger of the vehicle was killed immediately after the impact. The male driver was injured and taken to the hospital. His current condition is unknown; however, at the scene, his injuries were deemed severe. The firefighters were all fine after the accident, and did not report any injuries. The cause of the accident, the cause of death, or the type of injuries that the driver sustained has not been reported at this time. The accident is still under heavy investigation. This accident is quite tragic. No matter the severity of the crash, having two cars so diversely sized creates very dangerous situations. If you or someone you know has been injured in an accident, contact an Poway car accident lawyer who will assist you with identifying negligence, filing insurance claims; and can ensure that you receive the highest possible compensation for the damages that you have suffered, including punitive damages in the event of serious injuries or death. This entry was posted in Uncategorized and tagged Accident Attorney, Fire Truck, Firefighter, Honda, Injury, Orange County, Poway California, San Diego County California on June 20, 2013 by Bryan Nguyen. Early Tuesday morning, a person was killed after experiencing an accident in Hollywood. The crash occurred around 4:30 a.m. on Highland Avenue near Melrose Avenue. The accident involved only one vehicle – the one in which the victim was driving. The identity of the driver has been revealed as Michael Hastings, an award-winning journalist and war corresponded. According to the police reports, Hastings lost control of his car and it rolled over. It then struck the center divider and ran into a tree. The vehicle then caught fire and it was immediately enveloped in flames. The cause of the accident is unknown at this point; however, it is likely that speed was a factor. Highland Avenue around the crash was closed for a time to investigate. Michael Hastings was a well-known journalist, writing for BuzzFeed and Rolling Stones magazine. He also wrote the books The Operators: The Wild and Terrifying Inside Story of America’s War in Afghanistan and I Lost My Love in Baghdad: A Modern War Story. He was 33 years old. His death is a great loss to the journalism community. If you or someone you know has been injured in an accident, contact a Los Angeles car accident lawyer who will assist you with identifying negligence, filing insurance claims; and can ensure that you receive the highest possible compensation for the damages that you have suffered, including punitive damages in the event of serious injuries or fatalities. This entry was posted in Uncategorized and tagged Accident, Accident Attorney, BuzzFeed, Hollywood, Los Angeles, Michael Hastings, Rolling Stone on June 19, 2013 by Bryan Nguyen. Though still in development, the mobile phone application SpotSquad will eventually allow Los Angeles drivers and residents to report illegal parking done by other travelers, and to get paid for it. 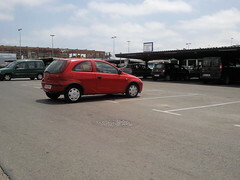 Have you ever circled and circled a parking lot looking for spots and find a vehicle parked in two spaces? Or have you become infuriated after attempting to park in a compact space with your compact car that is next to a Ford F350? This app will make it possible to send a photo of the offensive parking to the authorities who can then respond with a ticket or a tow. Because law enforcement at this time would not allow this app to be sufficient evidence in providing a ticket, it is only a helpful hint to parking officials. If a picture is sent, the operator of that lot or local law enforcement is notified; and if s/he arrives to the vehicle before it is moved, a ticket will be issued. Once that ticket is paid off by the perpetrator, the original alerter will receive a portion of the fee as a reward. Eventually the company behind the app would like to make these photos official proof, which would then automatically issue a citation for the vehicle whether the enforcement arrived on time or not. The app is still being perfected; however, it will likely arrive in Los Angeles and fellow commuters/shoppers/residents can lend their helping hands in ticketing. This would work to deter people from parking without any consideration to other drivers. This entry was posted in Uncategorized and tagged Accident Attorney, Los Angeles, Parking, SpotSquad, Tickets, Traffic ticket on June 18, 2013 by Bryan Nguyen. More than 200,000 SUVs have been recalled by General Motors because of a fire risk that the vehicles carry. On June 14, GM announced that it was recalling the Buick Rainier, Chevy Trailblazer, GMC Envoy, Isuzu Ascender, and the SAAB 9-7x. According to the investigation of the United States Department of Transportation, corrosion could be created in the driver’s door module after fluid enters it, and that could cause a short in the circuit board. This could cause inconvenient malfunctions with switches for locks and windows; but it could also result in overheating, which could melt parts of the door and could create a fire that may be inescapable. A fire that could be caused by the defect could even occur when the vehicle is not in use. 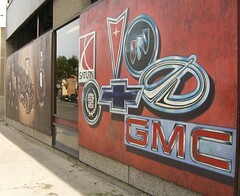 GM is in the process of alerting all of the SUV owners of the recall and of the issues. It is also recommending that people park defective vehicles outside until the correct repairs have been administered. Owners of the above mentioned vehicles may contact the appropriate numbers with questions regarding the recall and the dangers that they face: Buick 1-800-521-7300; Chevrolet 1-866-694-6546; GMC 1-866-996-9463; Isuzu 1-800-255-6727; and SAAB 1-855-880-0808. It is important to fix the vehicle’s issues before they cause harm or even death to its drivers or passengers. At this time, there does not seem to be any injuries caused by defect and that GM is simply taking precautionary steps. If you or someone you know has been injured in an accident, whether it was due to a defective product or a simple bump in traffic, contact a Los Angeles car accident attorney. A lawyer can assist you with identifying negligence, filing claims; and can ensure that you receive the highest possible compensation for the damages that you have suffered, including punitive damages in the event of a death. This entry was posted in Uncategorized and tagged Accident Attorney, Buick Rainier, Chevrolet TrailBlazer, General Motors, GMC, GMC Envoy, Isuzu Ascender, Recall, SAAB 9-7x, Sport utility vehicle on June 17, 2013 by Bryan Nguyen. Much to the dismay of Orange County drivers, the toll roads are likely to continue charging users years after the original end date. The decision-makers of Orange County’s toll road system have approved a $2.4 billion bond sale to refinance its highways. This sale will likely increase the years in which drivers will be forced to pay tolls. The change may add 13 additional years of tolls, which would not allow drivers to travel without being charged until 2053. The highways that are being altered include the 133, the 241, and the 261 toll roads. The 133 is in central Orange County and the other two cross through the hills from Yorba Linda to Ranch Santa Margarita. The restructuring has been made in the hopes that the operation’s finances will be made right once more. Travelers on the three toll roads have not as frequent as they originally had planned, so the company’s debt has continually increased. In order to pay off the debt, the tolls’ fees will continue to be implemented to 2053 at this point. However, if the debt lessens quicker than expected, the highways could be handed over to Caltrans and would operate as free highways. Though the board voted 12 to 1, many members were unhappy with what they had to do. Todd Spitzer, the Orange County Supervisor states, “This is a very difficult vote to swallow, because it’s changing expectations and commitments of a lot of different people.” Basically, the board is reneging on the promise that it made to motorists years ago. Orange County tolls are among the highest in America. There was a recent increase in fees that has aided with revenue; however, the increase will soon level out and the tolls will be in no better shape. Tolls in San Joaquin have been raised at least ten times since 1996. This vote that occurred on Thursday is momentarily disappointing to drivers; however, it may prove to better traveling and the extension may not be necessary. No matter what highway or street on which you are driving, it is always important to drive safely. However, accidents can happen at any time to anyone. If you or someone you know has been in an accident, contact an Orange County car accident lawyer today to receive assistance in receiving the highest possible compensation for the damages that you have suffered. This entry was posted in Uncategorized and tagged California, Injury Attorney, Orange County, Todd Spitzer, Toll Road, United States on June 14, 2013 by Bryan Nguyen.